Oh, my goodness! I have so much to do to get my room set up! I am moving to a new school and all my school stuff is in either my garage or a rented storeroom. Whew, what a list! And I know I have left a lot of things off - this is the priority list right now. I'm linking up with Fabulous Fourth Grade Froggies' linky party. Go check everyone else's lists! Thanks for linking up Suzanne! The sad thing is that as we go through our list I am sure we will come up with a ton of other things to do! New school, new grade! But I am excited about it! Thanks for stopping by. I plan to take it a few boxes at a time. Surely I won't need all of it, right? Ha ha! Thanks for stopping by! I should have just stuck to the priorities so that I didn't get so stressed! haha!! Oh, I am calm on the outside and all wild-spider-monkey-freaked-out on the inside! Thanks for stopping by! Oh To Do Lists...don't you love them. I think mine grows because of blogging and pinterest. Good luck with your move. I adore your blog and have awarded you the Liebster Blog Award! Go check it out at my blog. Thanks! And Pinterest has absolutely upped the number of items on the to do list! Ok. I absolutely love your post title. To do's and ta da's. I think I will find myself saying "Ta Da!" every time I cross something off my list! 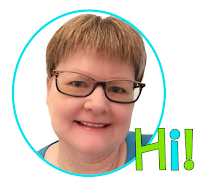 I am your newest follower and I found you through the linky party! Thanks for stopping by! Off to check out yours! Thanks, Kelly. I have more to add the to do's! I'm a first year teacher so I feel like I have a ton to do even things I don't KNOW to do. I am moving new schools too. I also have 1/2 my stuff here and 1/2 my stuff somewhere else! I can't get into my new school until August 10th! YIKES!!! Anyhoo, I am your newest follower, I found you on TT. I teach 4th too and am so excited to connect with other upper grade teachers! I am going to go back and read some of your older post!